History of Food & Drink Collection – What's Cookin' @ Special Collections?! There’s a long history the collection, some of which we’ve talked about on the blog before, but it’s been a quite some time. Today, in light of what else I have to share, it seems like a good time to talk about the current structure of the collection. Not to mention the fact that I’m working on some new paragraphs about all of our collecting areas (and sub-collecting areas) in Special Collections–which means I have nice, neat descriptions on hand! Neil, Marion Harris. 1917. Ryzon baking book: a practical manual for the preparation of food requiring baking powder. New York: General Chemical Co., Food Dept. If we take a step back and look at things from a larger perspective, the University Libraries are home to what we now call the History of Food & Drink Collection. 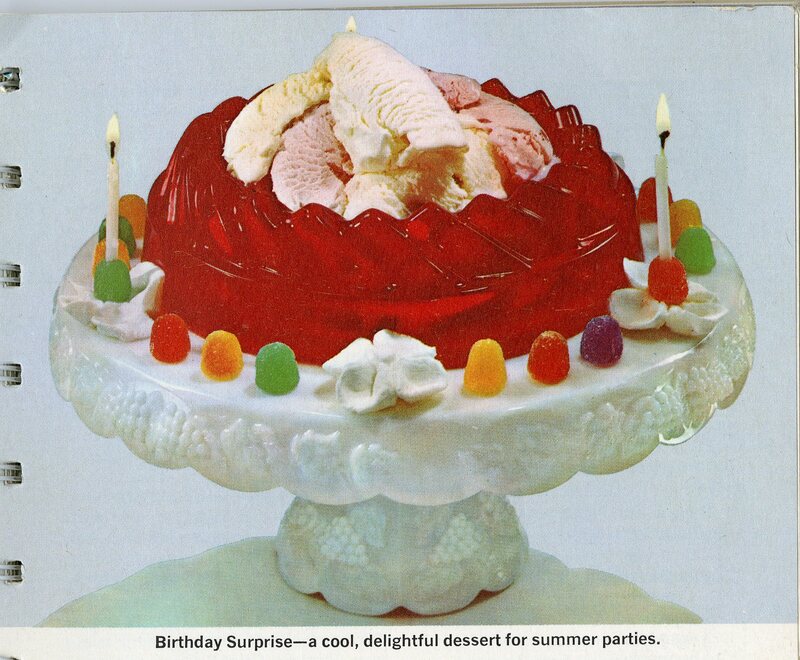 (This had previously been known as the Culinary History Collection.) 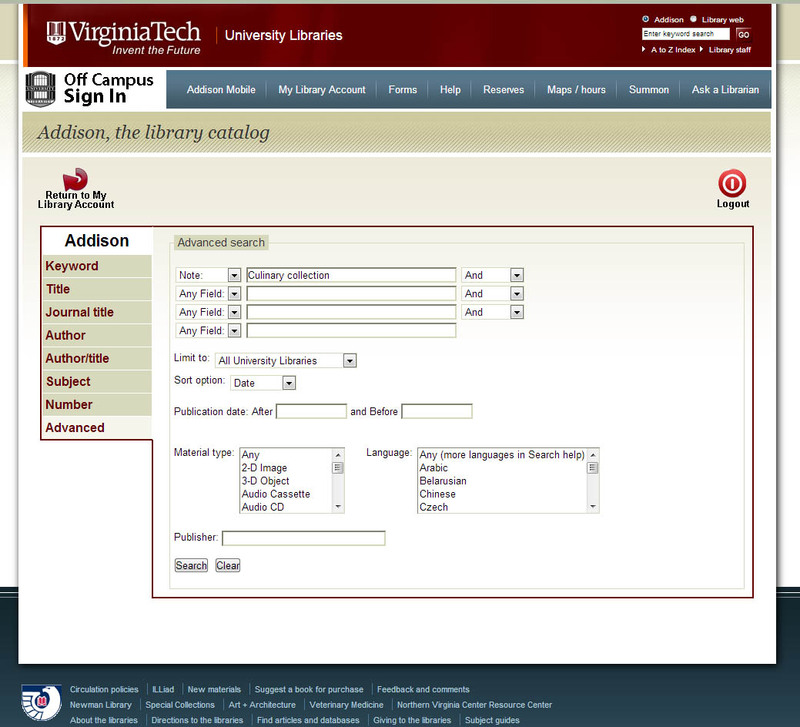 To date, the HFD Collection, as I often refer to it, contains 4,900+ cataloged publications. I’m very pleased to say that number is actually over the 5,000 mark if you count items waiting to be cataloged or in process! 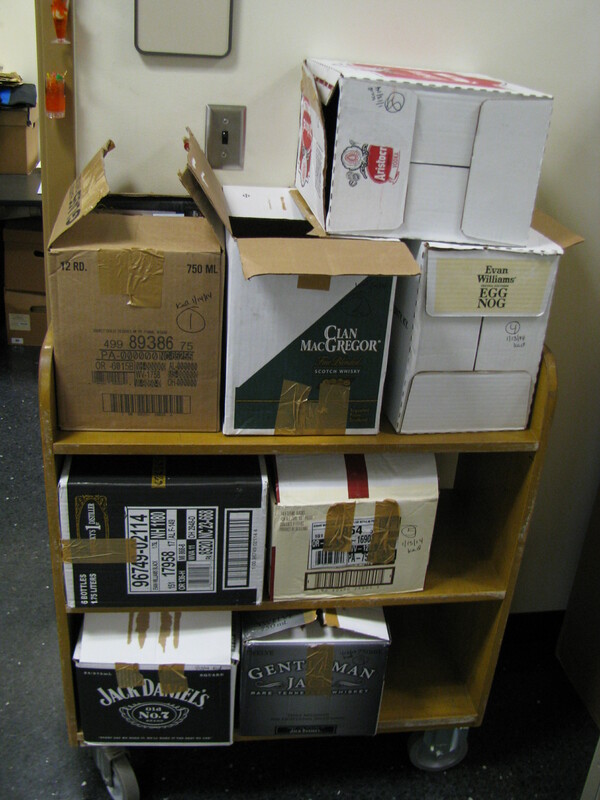 About 30% of the HFD Collection resides in the circulating collection of Newman Library or in off-site storage and can be checked out for use. The other 70% is housed in Special Collections. In addition, Special Collections has 75 processed manuscript collections and another 40 more in the processing queue. All things considered, those are some numbers I’m proud of! Here’s what it’s all about. The History of Food & Drink Collection consists of several focused subsets and a variety of other collecting areas. 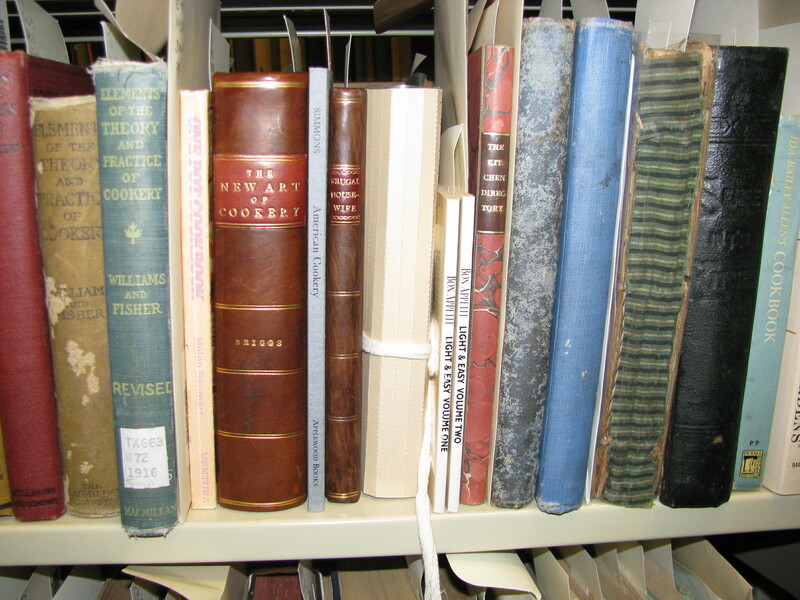 Subsets of the collection include the Peacock-Harper Culinary History Collection, the Ann Hertzler Children’s Cookbook and Nutrition Literature Collection, the History of the American Cocktail Collection, and the Food Technology and Production Collection. In addition, the History of Food & Drink Collection contains publications and manuscripts documenting or representing early American imprints, Virginia/regional/southern cooking, food technology and processing, community cookbook, nutrition and dietetics history, household management, domestic/economic/social history, food customs and habits, and home demonstration/home economics history and agricultural extension. Materials from the History of Food & Drink Collection also overlap with other collecting areas in which Special Collections is particular interested, like local/regional history, the American Civil War, and science and technology history. We are actively engaged in acquiring new items that contribute to this collection and can serve as primary and secondary sources for research in a variety of fields that study aspects of food and food culture. 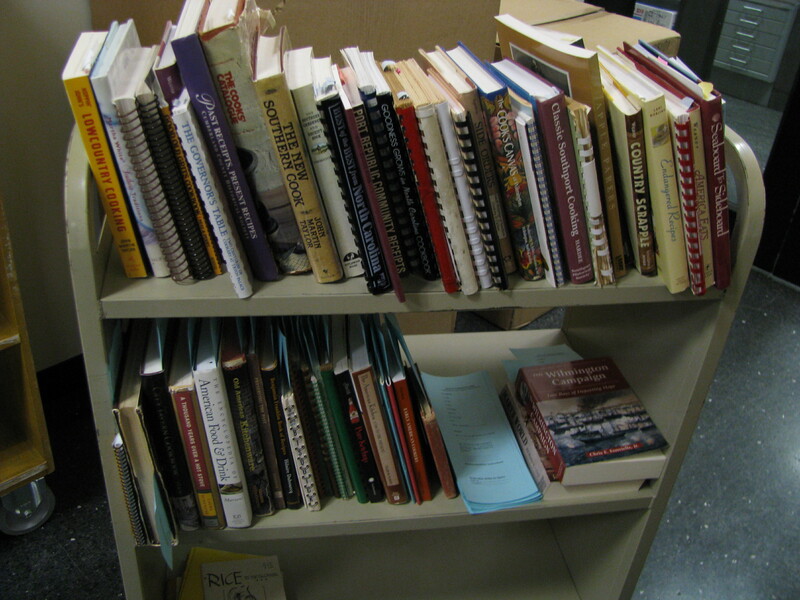 This section includes hotel and periodical cookbooks, and even a book on the history of WW I and II army dietitians. Of course, the HFD collection started with the Peacock-Harper Culinary History Collection. The Peacock-Harper Culinary History Collection is a group of 750 published works documenting more than three centuries of culinary history. It consists of the private collections of Dora Greenlaw Peacock and Laura Jane Harper, acquired by Special Collections in 1999/2000. The collection includes a wide variety of contemporary and historic cookbooks, community cookbooks, household management guides, and home economics/domestic science manuals. As a result, the Peacock-Harper Culinary History Collection represents many perspectives on the history of cooking, social and cultural practices, and food science. Although this is not a collection to which new materials are added, it was the inspiration behind the History of Food & Drink Collection and remains the core of the larger collection. Then, a few years later, a new subset of the collection arrived on the scene! Beginning in 2006, Special Collections received an endowment from Dr. Ann Hertzler to acquire publications relating to children’s cookbooks and items documenting nutrition history. The Ann Hertzler Children’s Cookbook and Nutrition Literature Collection contains more than 500 volumes. Highlights include manuals for young mothers, guides on proper eating for children, Virginia Cooperative Extension pamphlets, books designed to education children about cooking (and eating! ), and themed cookbooks. Dr. Hertzler remained a strong supporter of and contributor to her collection and the History of Food & Drink Collection until her death in early 2014, through the continued donation of books and her personal papers. Today, the endowment continues to fund the purchase of new and historic cookbooks for children, publications focused on the raising, feeding, and nutrition of children and families, and storybooks that feature food products, food advertising, and food history. By the end of 2011, we were working on a new crazy idea: cocktails! There is a whole amazing history there and we wanted to find a way to be part of documenting it. As a result, we launched a new subset of materials. The History of the American Cocktail Collection includes more than 125 cocktail manuals and bartenders guides, books on social activities and entertaining, and a variety of items documenting the history of cocktail ingredients, cocktail creation, and cocktail consumption, as well as around 20 manuscript collections. The collection also contains materials on individual spirits, the medicinal and alcoholic history of bitters, temperance/Prohibition, and advertising ephemera. The cocktail—and spirits generally—have played a significant role in American history, experience revolution, prohibition, and revival. We are interested in acquiring and adding books, manuscripts, documents, and occasionally artifacts, which contribute to the scholarship around the ever-evolving place of the cocktail in food and social history. All of that brings us to today. As you may know, our university’s history is that of a land-grant. We were and continue to have a focus on agriculture. We have the Virginia Cooperative Extension. We have a food science program and courses in wine and beer. So, by late 2015, we were pondering a new scheme: a subset of the collection that would benefit researchers in these, as well as other areas.After spending some time working on a name and goals for what we want to accomplish and support with future materials, we are excited to share with everyone our newest subset of the HFD Collection. The Food Technology and Production Collection brings together aspects of agriculture, Cooperative Extension, and the history of changes to the growth, production, marketing, sale, transportation, preparation, and consumption of food. We are interested in acquiring books and other publications, manuscripts, and ephemera that document the agricultural, commercial, and scientific lives of foods and how these processes have evolved over time. We realize that changes in the way we produce and consume foods occur organically, as a direct result of human interaction and advances in technology, and because of continuing changes within the cycle. Our goal is to help support research being done in the fields like history, food science, English, material and cultural studies, and human nutrition. We are already on the lookout for new acquisitions that will fit into this subset (along with the materials we are always seeking for the rest of the HFD Collection!). At the same time, one of my goals for the summer will be identifying materials we already have in the HFD Collection that we can make a part of the Food Technology and Processing Collection subset, too. Hopefully, as I find some of those items, they will be features over the next few months, and place where we can all get to know the food technology and production a little better. Apologies for the lack of a feature this week, but as the semester comes to a close and summer is before us, it seemed like a good time to share this exciting news about a new initiative! We hope you’ll come along for the ride and learn with us about where agriculture, Extension, food science, and food history collide. HAVE YOU HEARD OF THE HISTORY OF FOOD & DRINK COLLECTION? Are you interested in cookbooks, culinary history, or historic recipes? Did you ever wonder why and how People learn about food history in America? 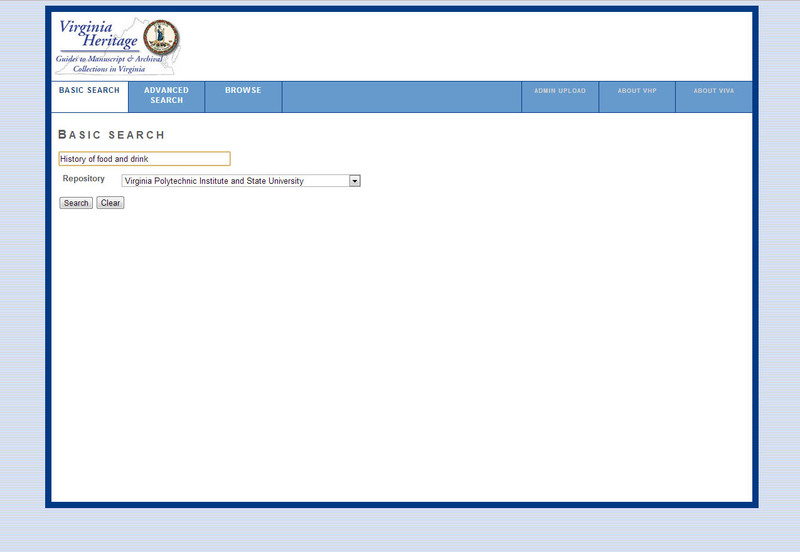 Virginia Tech Special Collections might have the answers! Join us to learn about the history and evolution of the History of Food and Drink Collection as Kira Dietz shares American culinary history, classic and unique recipes, favorite items, and creative uses of collection materials. Enjoy items that include cookbooks, manuscript receipt books, cocktail ephemera, artifacts, and a behind-the-scenes tour! If you’re in the area and would like the behind-the-scenes tour in person, let us know. We’re always happy to share our materials, whether it’s culinary history, or one of the other areas in which we collect! Just before the holiday break here at Virginia Tech, I received a large book donation from one person, an inquiry about another sizeable donation, and an email about a short list of four items. 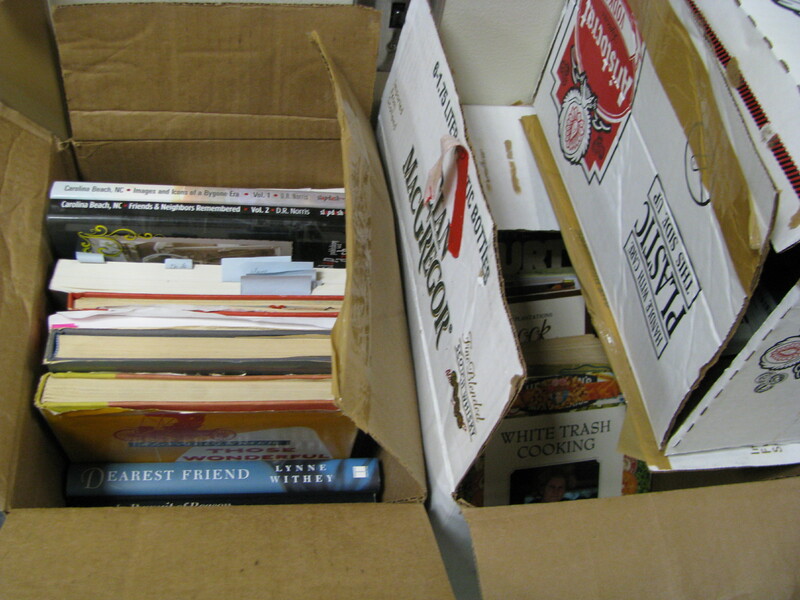 When I returned to my office early last week, there was a cart waiting for me with a box, a bag, and two more books. ALL of it was culinary related. I’m working my way through the large donation that was delivered in December (8 boxes of books!) and it’s reminded me to write post about acquisitions (though I promise to keep it short). There two main ways we acquire materials for the History of Food and Drink Collection (and, indeed all of our collecting areas): purchase and donation. (There’s a bit of transferring that goes on with university materials, but that’s a topic for another blog.) Our department receives an acquisitions budget from the library each year to spend on new materials. We also have a number of endowments, most of which are restricted to purchasing certain types of publications and collections. For example, you may not know that we have an endowment to support the acquisition of children’s cookbook and nutrition literature, established by Ann Hertzler in 2001. With it, we’ve been able to add more than 30 titles to the several hundred books donated by Ann Hertzler herself. Which brings me to my point for today–donations are what we rely on, when it comes to new acquisitions! A budget only goes so far. In the last two years, we’ve done a bit of refocusing and I’ve talked about that in various ways before on the blog. But the main idea is that we’re moving away from thinking about types of materials and toward considering things thematically. We’re interested in a number of themes for the History of Food and Drink Collection: early American cookery; local/community cookery from Virginia and southern Appalachia; social, domestic and economic history; gender roles and relationships; household management; food preservation/technology; history of cocktails and entertaining; children’s cookbooks and nutrition; and materials that help document how people did and do interact with food (i.e., advertising pamphlets, ephemera, handwritten recipe books, and compiled recipe collections). If you have something you might like to donate to the History of Food and Drink Collection (or one of our other collecting areas), I encourage you to contact Special Collections. We’d love to know what you have and see if it’s right for our collections. We do our best to add relevant books and manuscripts. However, space is always at a premium, so we try not to add second copies of publications we already have on our shelves. Some items may not quite fit in with our collecting policies. But that’s okay! We can also help you to find an institution that may be the better home, if that’s what you need. 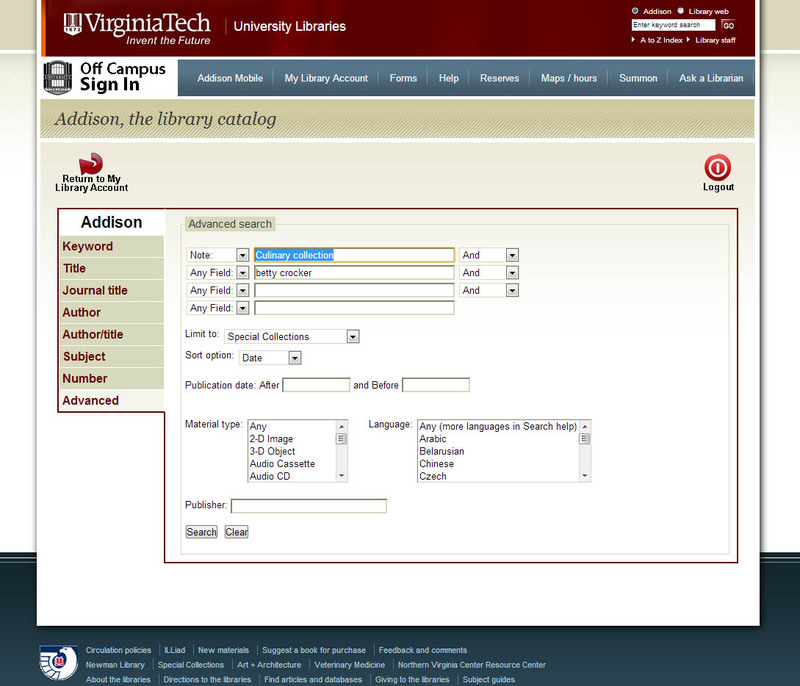 I’ve written more generally about acquisition for Special Collections on our other blog, “In Special Collections @ Virginia Tech.” So, if you’re curious, you might want to check here. Or, post your query in the comments and I’ll reply. It’s what I’m here for! On this date last year, we launched What’s Cookin’ @Special Collections?! We weren’t sure what to expect, but it sure has been a great first year. We hope you’re enjoying it and we hope you’re still helping us spread the word–we have LOTS more to share!